Enkeltstående die designet for å passe fronten på et A2-kort (amerikansk A2). Mål ca 11,3 x 14,4cm. Indre rammemål ca 8,6 x 5,3 cm. Produsert i USA. 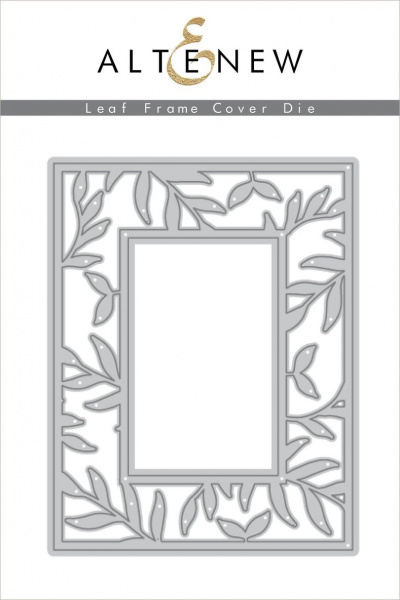 This beautiful leafy frame is sized to cover the front of a standard A2 card, with a 3.4" x 2.1" opening in the center. 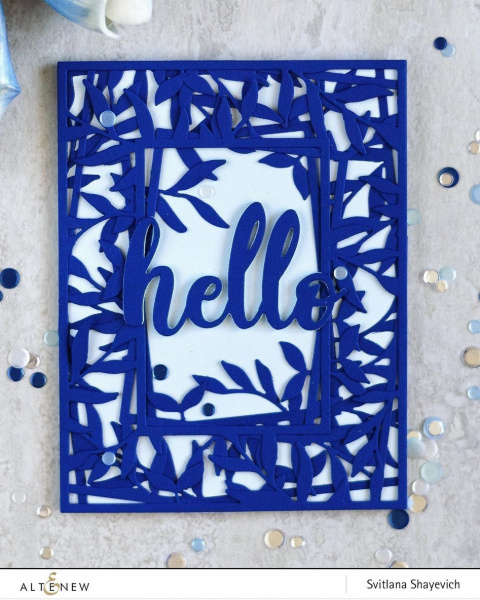 Cut it once for a delicate look or cut twice (and flip one upside down) for a luscious frame of greenery. There is a total of 1 die in this set. 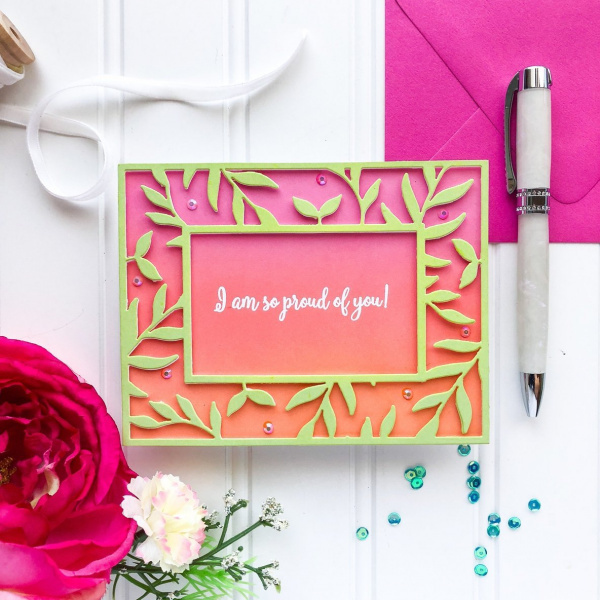 The die measures approximately 4.25 "x 5.5".